Some Christmas Gifts are big and some are small but what make them really special are the people that give them to you. 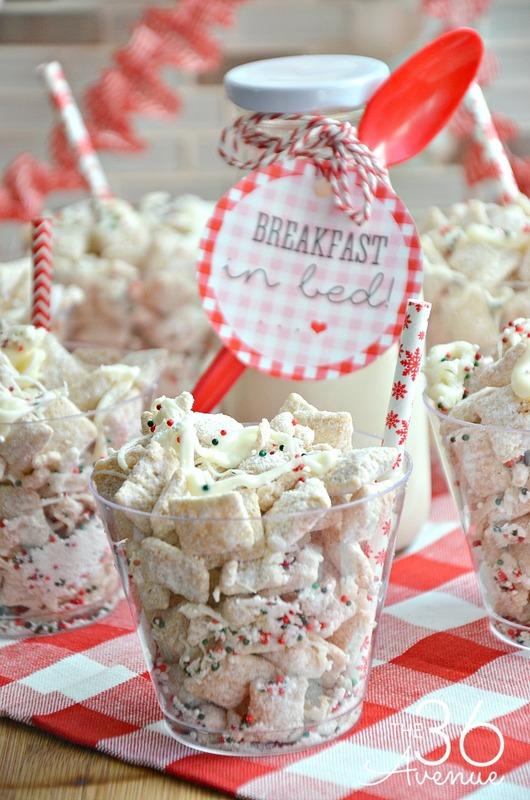 Today I’m sharing a delicious Sugar Cookie Party Mix Recipe that I found HERE over at Chex™, and a cute Bed In Breakfast Printable to surprise your family any of these mornings! 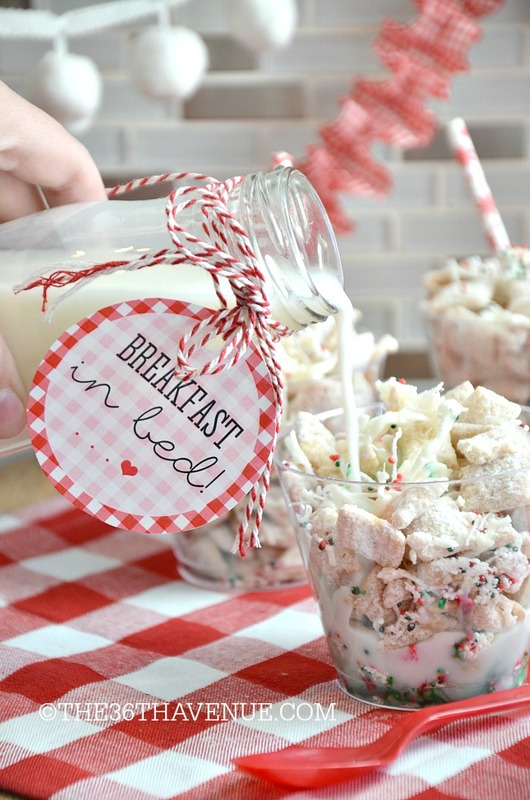 We always make this Sugar Cookie Party Mix Recipe as a treat or snack but this time I thought it would be so fun to surprise my family with a festive yummy breakfast and add individual bottles of milk to this delicious munchie recipe! 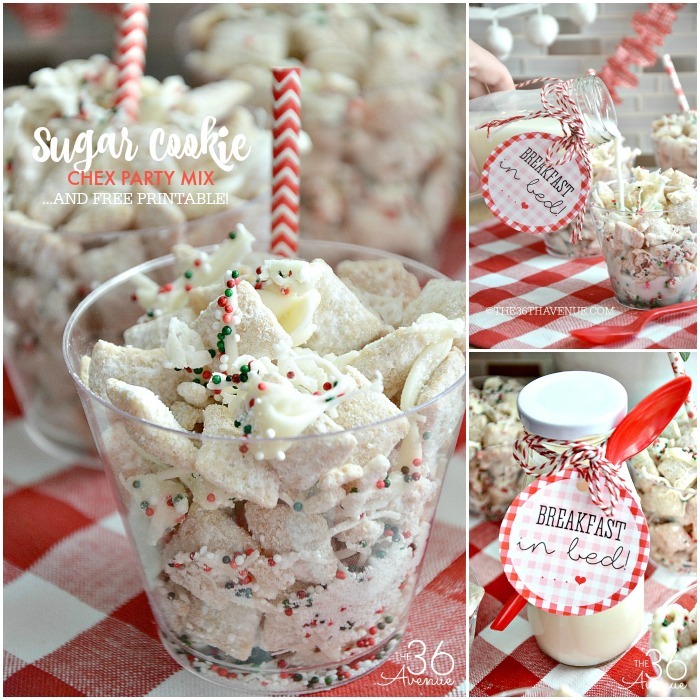 The first thing you want to do is make the Sugar Cookie Party Mix Recipe. 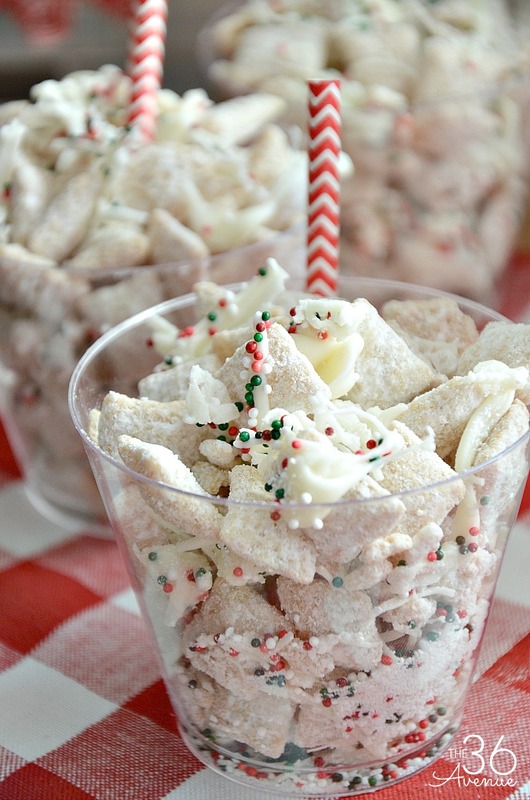 Click HERE to head over to Chex.com and you’ll find this and many other delicious recipes there! 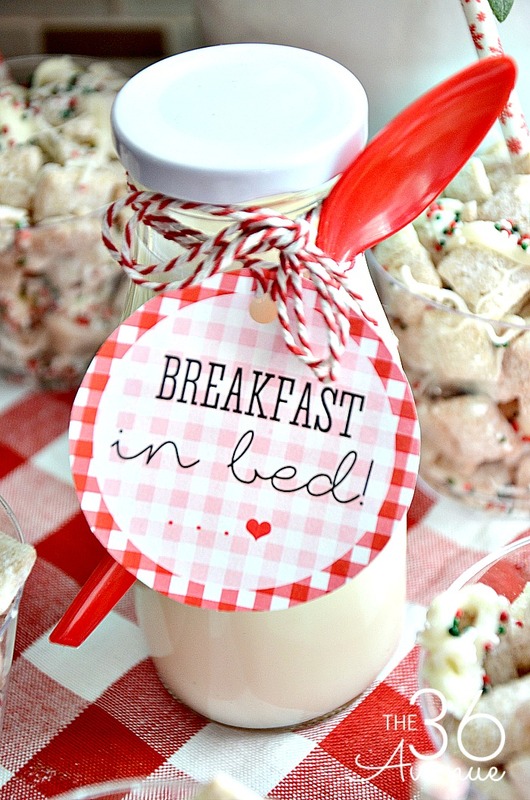 Now that your party mix is done click below to download our free Breakfast In Bed printable! 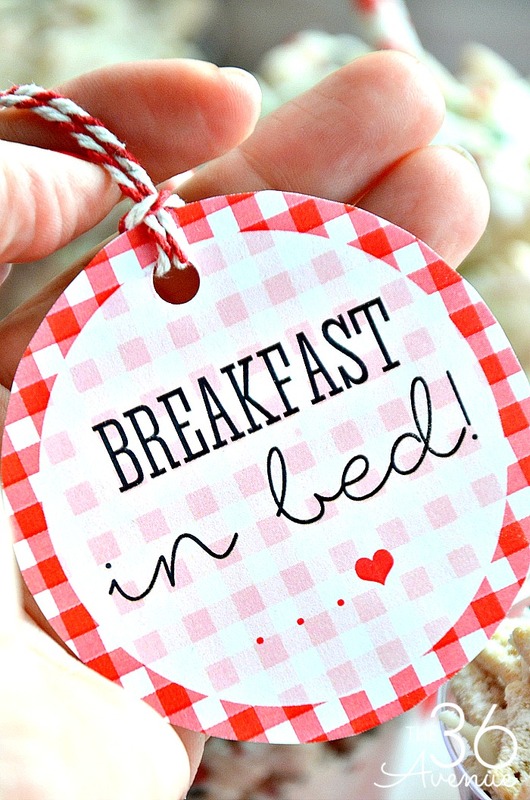 I used bakers twine to tie the tag around the bottles and of course I placed a plastic spoon there! Time to surprise your family and guests… Enjoy!